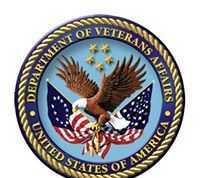 WASHINGTON, DC – July 17, 2012 – (RealEstateRama) — Secretary of Veterans Affairs Eric K. Shinseki announced today the award of nearly $100 million in grants that will help approximately 42,000 homeless and at-risk Veterans and their families. The grants are going to 151 community agencies in 49 states, the District of Columbia and Puerto Rico. Under the Supportive Services for Veteran Families program, VA is awarding grants to private non-profit organizations and consumer cooperatives that provide services to very low-income Veteran families living in — or transitioning to — permanent housing. Those community organizations provide a range of services that promote housing stability among eligible very low income Veteran families.